Questions arise over the Haiti government's low visibility since the January 12 earthquake. As Haitians scramble to get their lives back in order, many observers are wondering what has happened to the country's government, which has had an unusually low profile since the Jan. 12 earthquake. "We have a vacuum of government," Michèle Pierre-Louis told The New York Times. The 62-year-old Pierre-Louis was Haiti's prime minister for just over a year, until November 2009 when she was ousted by the country's Senate in a power play. "The big question," she says, "is 'Who's in charge?' We don't feel as though there is someone organizing all this." Since the earthquake, René Préval, Haiti's president, has "been largely invisible to his countrymen," Tracy Wilkinson reported in The Los Angeles Times. 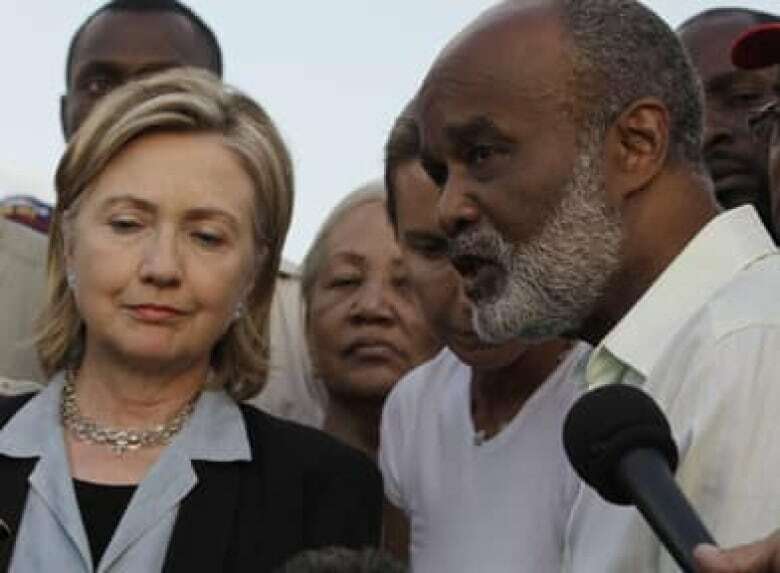 Preval has met with some foreign leaders and spoken with the international press but, 10 days on, he has yet to address the Haitian people, an absence that seems to have left many if not most Haitians wondering if there is a government at all. Of course the government was hard hit by the destruction. Many of its offices and Belle Époque-style buildings are ruined. Five ministry headquarters were completely destroyed. Here's how Michel Chancy, the Haitian official coordinating relief, described that situation last week. "The palace fell," he told the New York Times. "Ministries fell. And not only that, the homes of many ministers fell. The police were not coming to work. Relief agencies collapsed. The UN collapsed. It was hard to get ourselves in a place where we could help others." The families of people in government suffered as well. Cabinet ministers lost close family members and homes. At least two senators died. Still the earthquake's havoc is only part of the story. 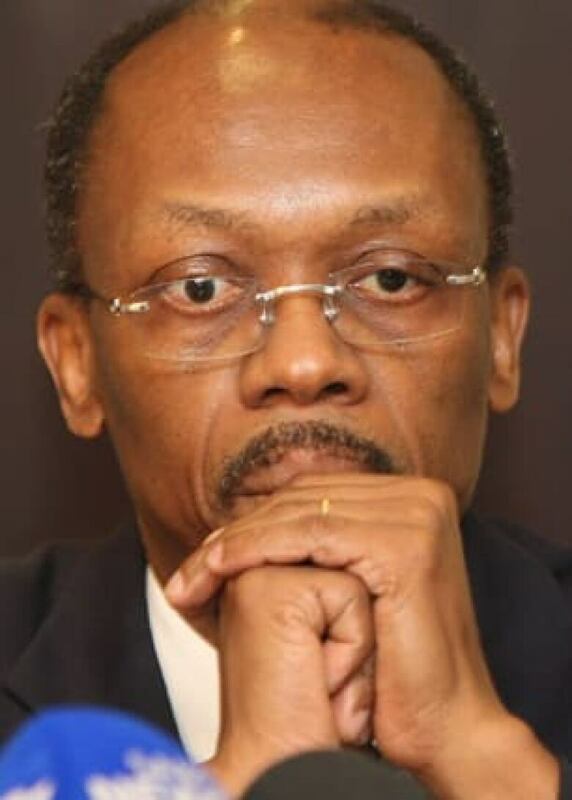 For the other part — the state of the government before 4:53 p.m. on January 12 — we should probably start with René Préval's relationship with his charismatic and controversial predecessor Jean-Bertrand Aristide. In the 1980s René Préval and Michèle Pierre-Louis owned a bakery in Port-au-Prince that provided free bread to 25,000 slum children. That generosity led to a friendship with Aristide, then a radical priest with a belief in what is called "liberation theology" who was working in the slums as well. After Aristide was elected president in 1990, Préval became his prime minister. Aristide was returned to power in 1994, with U.S. help. When his term ended, Préval, with Aristide's backing, was elected to the presidency in January 1996. Haitian presidents cannot serve consecutive terms. Remarkably, Préval was able to serve his full five-year term, even though his opponents in Haiti saw him as Aristide's reform-minded surrogate. During that first term, he privatized government enterprises, changed land ownership rules and pushed for investigations into abuses by the former military leaders. Préval was succeeded by the more popular Aristide, who won the election in 2000. Four years later, however, Aristide was overthrown once again. A new president, George W. Bush, was in the White House and this time Washington wanted change. The U.S. role in Aristide's overthrow was examined in a New York Times-CBC investigative documentary that aired in 2006. 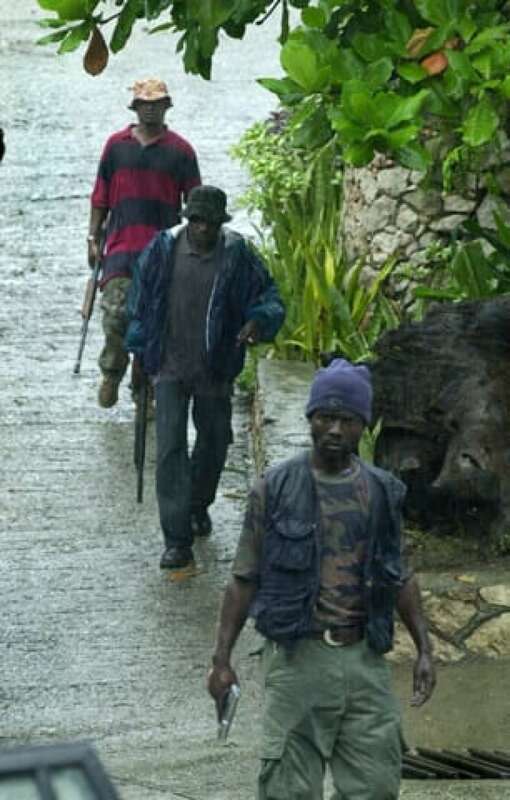 Aristide opponents formed a band of 200 or so armed Haitian rebels, led by an accused death squad leader. Aristide and his party Fanmi Lavalas (FL), meanwhile, "relied on intimidation, violence and corruption to maintain themselves in power," Alex Dupuy writes in his 2007 book on Aristide, The Prophet and Power. "But if Aristide and the FL subverted democracy," Dupuy adds, "so too did the organized opposition, the Haitian bourgeoisie and their foreign allies." Haiti had no army and Haiti's corrupt and lightly armed police provided little resistance to the rebels. Within a few weeks Aristide was once again on his way into exile, this time in Africa, on a plane chartered by the U.S. Government. Canada, the U.S. and France, with UN backing, oversaw the formation of a new government. What followed was two years of repression, chaos, lawlessness and severely dysfunctional government. Haiti was "paralyzed by kidnappings, assassinations and economic collapse," according to the New York Time's Walt Bogdanich, who reported the documentary (and co-wrote an accompanying feature). Then came the election of 2006. That was the situation when Préval started his second term as president in 2006. His popular victory was eventually and grudgingly accepted by the Haitian elite and those foreign governments that had wanted Aristide out. It could not be easy governing between the divergent interests over Haiti's future. And disappointment quickly followed. Préval "seems indecisive," The Economist magazine wrote in 2009. Canada's minister of state of foreign affairs, Peter Kent, voiced similar concerns last year. He talked of frustration in dealing with Haitian officials in an interview with the Ottawa Citizen. Kent told her Préval's government is afraid of "sticking their necks out." "We also have to convince the government to lead, not to sit in power and let the foreign agencies, NGOs and security services do all the work," he said. However, real authority in Haiti was in the UN's hands. As of November, the UN's Haiti operation, MINUSTAH, had 9,065 uniformed personnel in Haiti (mostly supplied by Brazil) and 2,000 civilian staff. Although catastrophic, conditions were improving, according to some observers at least. Gang violence and crime were lessening (the murder rate is half that of the Dominican Republic, according to the latest statistics). There was also modest economic growth. Investment was up and former U.S. president Bill Clinton took on the job of UN Special Envoy to Haiti last May. On the heels of the earthquake, U.S. Secretary of State Hillary Clinton summed it up this way: "We had donors lined up. We had private businesses beginning to make investments. "There was so much hope about Haiti's future, hope that had not been present for years," she said. "And along comes Mother Nature and just flattens it." Despite these improvements, however, the political situation remained tense under Préval. In the 2006 election, his support was widely interpreted as a vote for Aristide's return, but the Haitian government has still not agreed to this because it views the former president as a polarizing figure. There would also be concerns about what might happen to aid money from foreign governments. Aristide "remains, by every credible indicator the most popular, most inspiring politician in the country," Haiti expert Peter Hallward, a Canadian now teaching at Middlesex University in the U.K. Listen to CBC Radio's The Current as Thomas Donnelly, Ilan Kelman and Jean Saint-Vil discuss the Haiti situation. Peter Hallward's views can be heard on the CBC Radio program Dispatches. However, Thomas Donnelly, director of the Centre for Defence Studies at the American Enterprise Institute, thinks Aristide will "likely be a disruptive factor amongst the international community, so it seems to me that a rapid return by Aristide can only complicate and obscure the prospects for reconstruction." Aristide's party, Fanmi Lavalas, was excluded from Senate elections last year. That led to a turnout of just 11 per cent. The Electoral Council has also barred Lavalas, which is seen as the most popular (and populist) political force in Haiti, from competing in the 2010 elections. For many Haitians, those moves called into question their government's legitimacy. Speaking during a panel discussion on CBC Radio's The Current, Donnelly said it is critical "to get a genuinely legitimate government established in Port-au-Prince and by that I mean one that reflects the will of the Haitian people but also meets the test that any government legitimacy would require — transparency in its actions, no corruption, so on and so forth. "And I think that this offers an opportunity to sweep away the political rubble along with the physical rubble." Government corruption is a huge concern in Haiti, as it is with donor governments. On Transparency International's Corruption Perceptions Index, the gold standard for international comparisons, Haiti tied for 168th out of 180 countries. With a government "riddled with corruption," The Washington Post's Scott Wilson writes, "Many Haitians now express the conflicting impulse to see their government in action at a time of crisis while wanting to make sure it is denied access to international aid for fear it will be stolen."